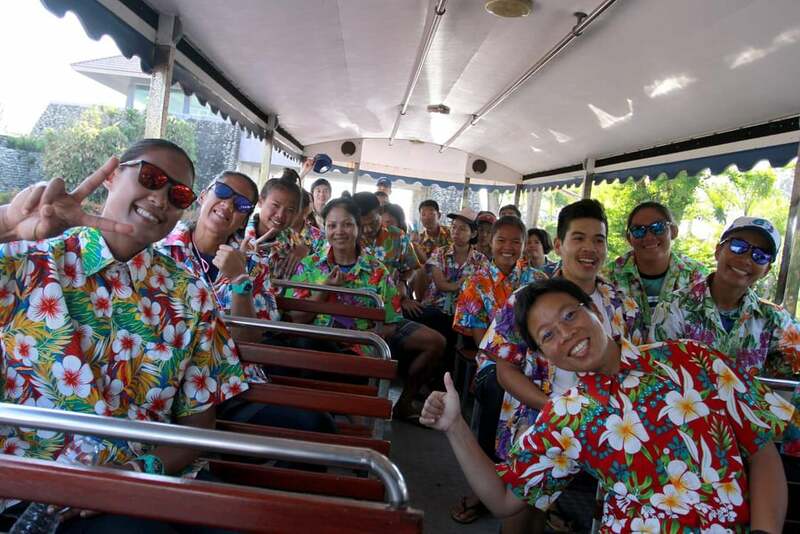 Songkhla, Thailand, April 13, 2019 – Top seeds Surin Jongklang/Sedtawat Padsawud of Thailand 1 have been handed a very challenging draw in Pool A with New Zealand 1 and Qatar 1, but are confident of going the distance at the SMM AVC Beach Volleyball Tour “20th Samila Open,” which kicked off its qualification round at Samila Beach here on Saturday. 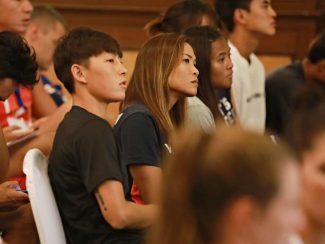 According to the results of the drawing of lots, the Thai duo are due to take on New Zealand1’s Thomas Hartles/Alani Nicklin and Tamer Abdelrasoul/Ahmed Mahmoud Assam of Qatar 1. “We have been drawn in the same group as New Zealand 1 and Qatar 1. I believe we can get through to the top of the pool, but of course we will not underestimate them. We have been training hard in preparation for this event so I am upbeat that we will have a chance to go the distance this year. I will try my best to help my team make it to the latest round of the tournament,” Sedtawat said. Defending champions Gao Peng/Li Yang of China 1 are second seeds drawn in Pool B with Chinese Taipei 1 and Singapore 2. Third seeds China 2’s Wu Jiaxin/Ha Likejiang are in Pool C with Indonesia’s Rendy Licardo/Mohammad Ashfiya and Wei Hsu Chen/Wu Shin-Shian of Chinese Taipei 2. Pool D comprises fourth seeds Australia 1’s Schumann Damien/Durant Cole, Singapore1’s Tay Kingsley/Shen Fan Yang Mark and Malaysia, while Iranians Arash Vakili/Bahman Salemiinjehboroun are in Pool E with Thailand 3 and New Zealand 2. Pool F consists of Australia 2’s Christopher McHugh/Zachery Schubert, Oman and Maldives, with Iran 2’s Raoufi Rahman/Mirzaali Abolhamed in Pool G with Japan 2 and Sri Lanka. Japan 1’s Takahashi Takumi/Hasegawa Yoshiumi lead the charge in Pool H with Thailand 2 and Qatar 2. In the women’s main draw, top seeds and local hopefuls Varapatsorn Radarong/Khanittha Hongpak are in Pool A with Kazakhstan 2 and Singapore 1, while Pool B comprises second seeds China 2’s Xue Chen/Wang Xinxin, Malaysia 2 and Kazakhstan 1. Pool C comprises third seeds Japan 1’s Megumi Murakami/Miki Ishii, Hong Kong China and New Zealand 1. Fourth seeds Wang Fan/Xia Xinyi of China 1 are in Pool D with New Zealand 2 and Singapore 2. Japan 2’s Takemi Nishibori/Ayumi Kusano are in Pool E with Thailand 3 and Indonesia, while Pool F comprises Thailand 2’s Tanarattha Udomchavee/Rumpaipruet Numwong, Vanuatu and Malaysia. Chinese Taipei’s Kou Nai-Han/Liu Pi-Hsin, fresh from winning the FIVB Beach Volleyball World Tour Stun-1star, are in Pool G with Australia 2 and Sri Lanka 2. Australia 1’s Bell Phoebe/Ngauamo Jessyka, Chinese Taipei 2 and Sri Lanka 1 are in Pool H.
The main draw in both men’s and women’s events will take place on Sunday. After the pool round-robin preliminaries, only top two teams from each pool will advance to the next round. The first match of the men’s competition will kick off at 8am local time, with the women’s opener starting at 8.50am. 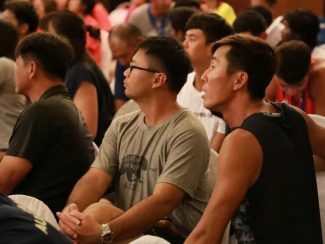 A total of 48 teams from 16 countries including 24 men’s pairings are taking part in the double-gender, four-day competition, vying for the top honours and the shared US$10,000 cash prize in each gender. The participating nations comprise China, Japan, Iran, Oman, Chinese Taipei, Hong Kong China, Australia, Kazakhstan, Indonesia, Vanuatu, Singapore, New Zealand, Maldives, Sri Lanka, Qatar and hosts Thailand. 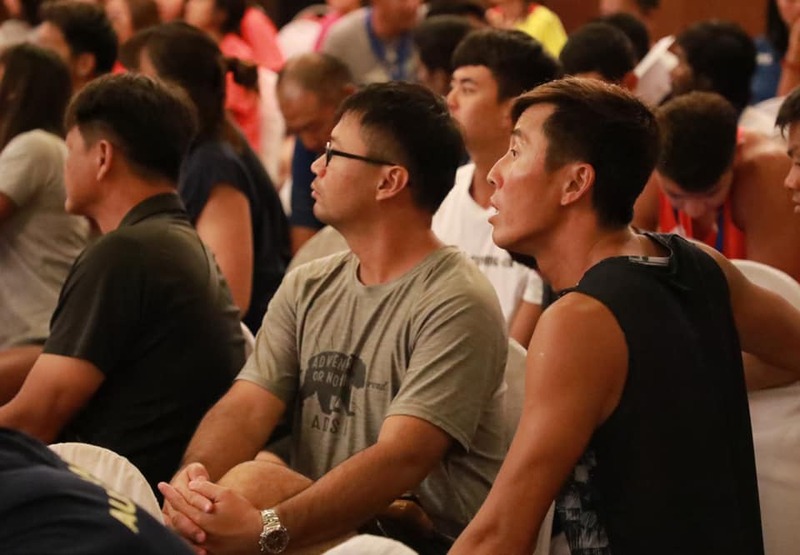 Meanwhile, players and team officials participating in the SMM AVC Beach Volleyball Tour “20th Samila Open” between April 13 and 16 attended the General Technical Meeting at BP Samila Beach Hotel on Saturday. AVC Beach Volleyball Director Mr Kritsada Panaseri, Technical Delegate Mr Anthony Liao from the Philippines and Referee Delegate Mr Jayaraman Srinivasan from India jointly chaired the Saturday’s meeting and conducted the drawing of lots in front of players, team officials and the media representatives. 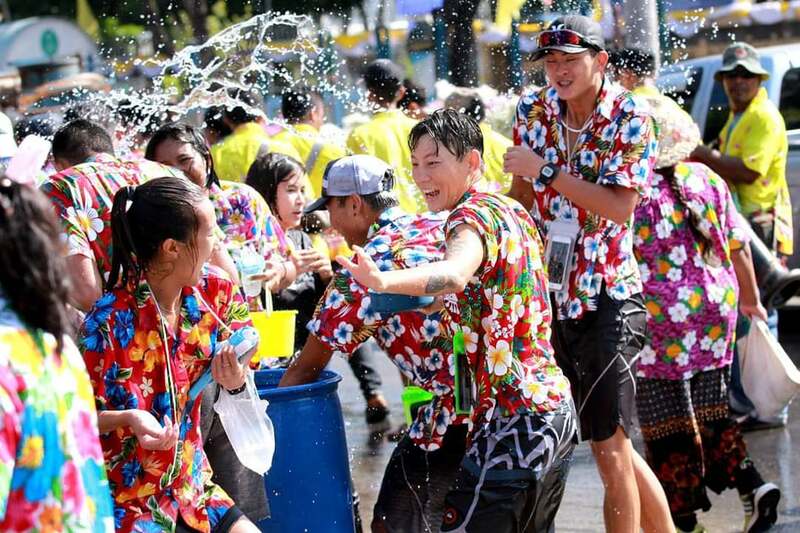 Earlier, participating players, team officials, TVA staff and the media enjoyed the day on Saturday as they entered the water fight as part of the Songkran Day, which falls on April 13 every year and known as the Thai Traditional New Year’s Day. 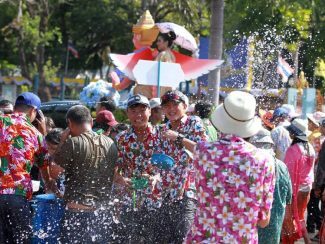 They joined a cultural procession which carried a Buddha image through the streets of downtown Songkhla and around the province to celebrate the Water Festival and allow the people to pay respect and pour water on the revered statue during the celebration. 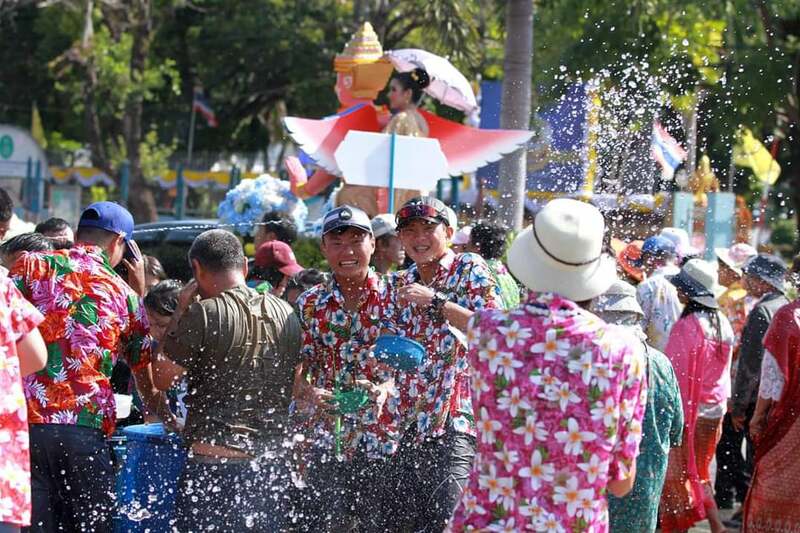 While walking behind the procession, players splashed water on each other, some carrying water gun and powder, ready to drench anyone who came by. 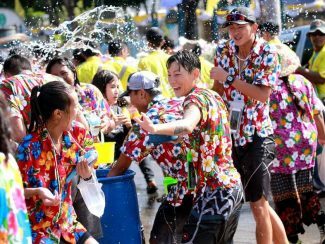 They laughed and were all smiles getting soaked, feeling happy and stress-free at the Water Festival. Their happy time will turn into tension the following day when the action-packed main draw is due to get started. 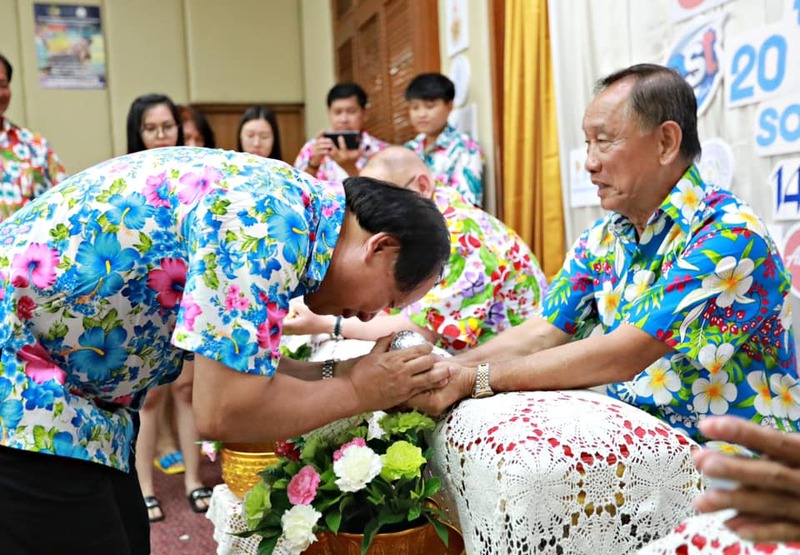 Another good thing that happened here on every Songkran Day, April 13 was Rod-Nam-Dum-Hua, the important tradition in Songkran Festival and means a water-pouring ceremony to ask forgiveness and blessings from the respected elders. 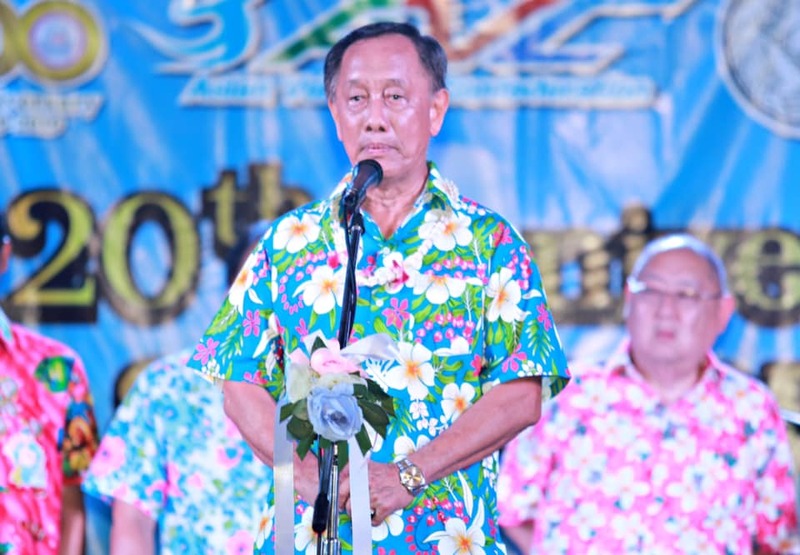 This year, TVA President Mr Somporn Chaibangyang led TVA officials, Thai beach volleyball players and the media in pouring jasmine scented water on the hands of the revered elders consisting of TVA Honorary President Mr Shanrit Wongprasert, himself AVC Secretary-General, Technical Delegate Mr Anthony Liao from the Philippines, and Thai senior volleyball reporter Mr Thanandorn Praparphan at BP Samila Beach Hotel on Saturday. 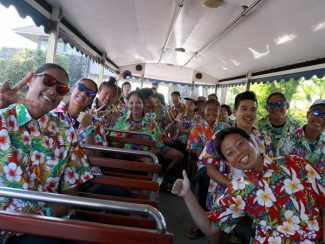 After that, Mr Shanrit wished those attending the ceremony including Thai beach spikers good luck and prosperity on Songkran Day. 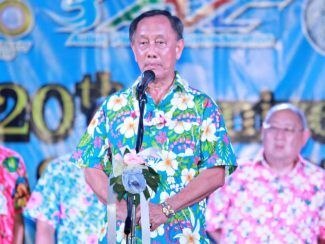 Mr Somporn also delivered best wishes to all Thai players and the media. “Blessings and good wishes to all of you for good health, happiness and success during this Thai Traditional New Year’s Day. I also wish all players good results this year and better performances in future tournaments,” the TVA President said. 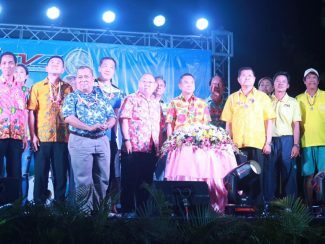 The opening ceremony was held later in the evening at the hotel’s swimming pool, with Mr Somporn and Mr Shanrit jointly presiding. 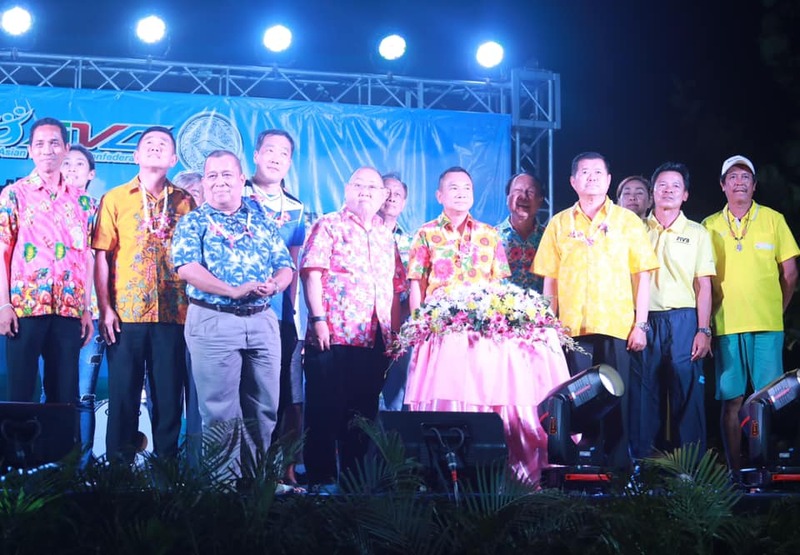 The Control Committee members including Technical Delegate Mr Anthony Liao, AVC Beach Volleyball Director Mr Kritsada Panaseri and the local organisers were cordially invited to the stage and had some speeches. Fresh, tasty and well-prepared dinner was hosted by the hotel. All participants and players in particular heard “Bon appetite. Enjoy your meal” shortly after that.